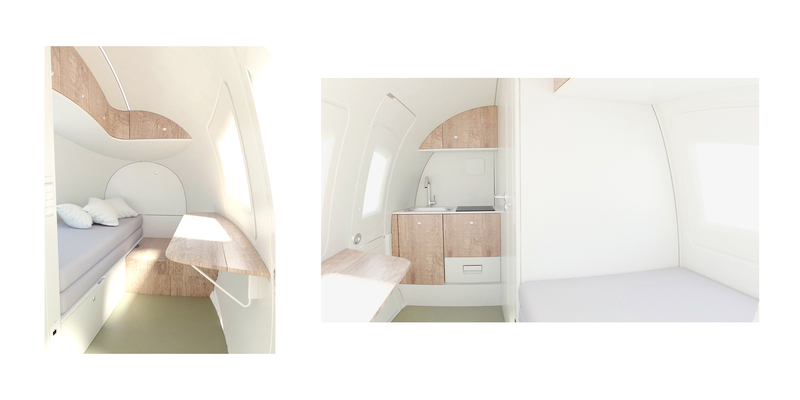 Established in 2015, the Slovak company Ecocapsule designs and produces a microhome of the same name. 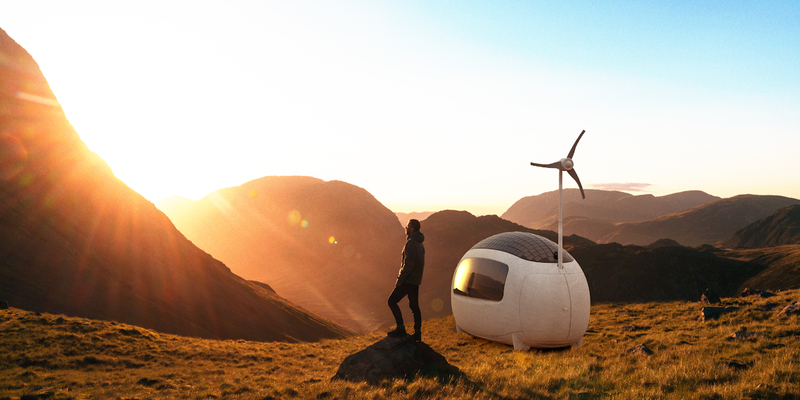 Ecocapsule is a mobile, selfsustainable, smart micro-unit, that utilises solar and wind energy. It allows people to live in remote places out of reach of infrastructure, while retaining a high level of living comfort. It can be used as a cottage, pop-up hotel, caravan, houseboat, research station etc. Ecocapsule is powered by a dual system of energy production, which – in connection with high-capacity batteries – ensures energetic selfsufficiency even in the case of a temporary lack of sources. Ecocapsule also has an electric plug, enabling to charge the batteries from an external electric source if needed. The spheroid shape of Ecocapsule is designed to maximize the collection of rain water and dew. The water filters consequently ensure the transformation of water from any natural source into clean water. The design of the outer shell also minimizes energy loss. Hollow walls filled with highly efficient thermal insulation protect inhabitants from harsh environment and help achieve a performance almost on the level of a passive house. Furthermore, the unique design makes Ecocapsule a piece of art that stands out in every environment. 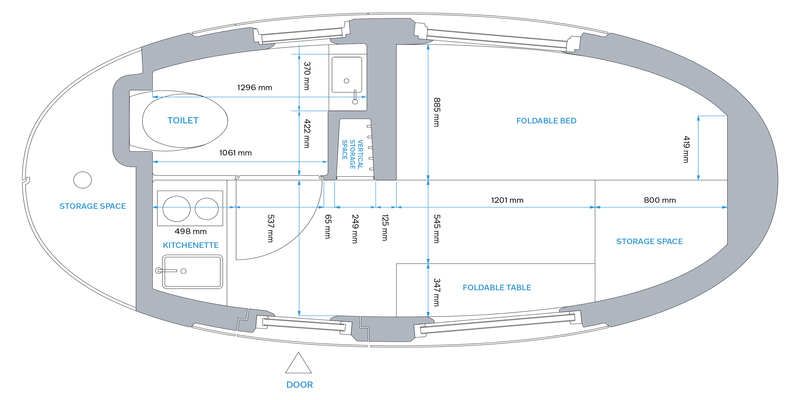 Ecocapsule is optimized for easy transportation. It can fit into a standard 40’HC shipping container and therefore can easily be shipped globally with the lowest shipping fees possible. The custom designed trailer enables transportation of the Ecocapsule with a passenger car, turning it into a fully functional caravan. 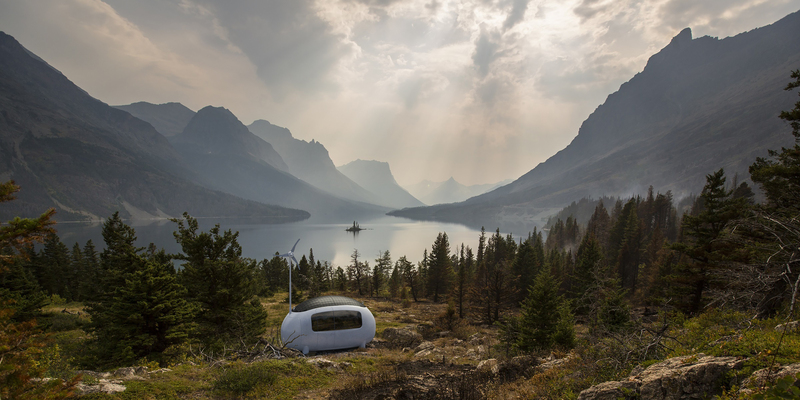 Ecocapsule teaches people to connect with nature. 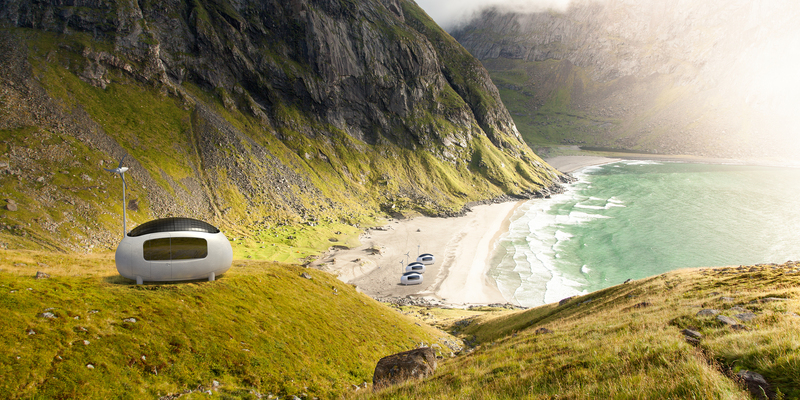 Ecocapsule allows people to stay completely off-grid, yet with a comfort of a hotel room. This way it makes it very easy for its users to get in close touch with the nature and enables them to feel and act like insiders rather than observers from outside. This leads to greater connection and respect towards the natural environment. 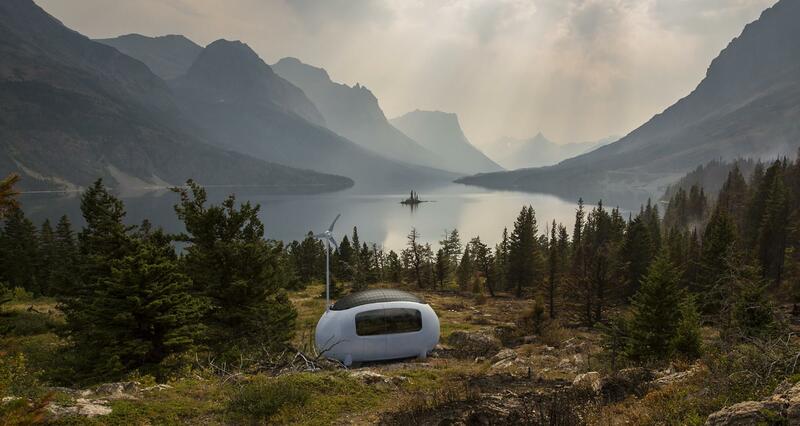 Ecocapsule educates people towards energy saving consciousness. Ecocapsule is designed as a smart home – via a smart home app users get real time overview of how much energy and water is being spent for e.g. taking a shower, cooking pasta or charging phone. This raises their consciousness of resources usage and helps them think about how they can downsize their consumption. At the same time, users can see how much resources is flowing in from the nature and how much is stored in batteries and water tanks. This encourages them to reflect upon limitedness and costs of resources. Ecocapsule’s eyecatching design helps to spread the sustainability ideas to masses. Ecocapsule’s unique, elemental and smooth shape catches everyone’s attention. That is why media just love to present Ecocapsule – it engages their audience. That is when people get to learn about all the above-mentioned messages which takes them one step closer to leading more sustainable lifestyles.